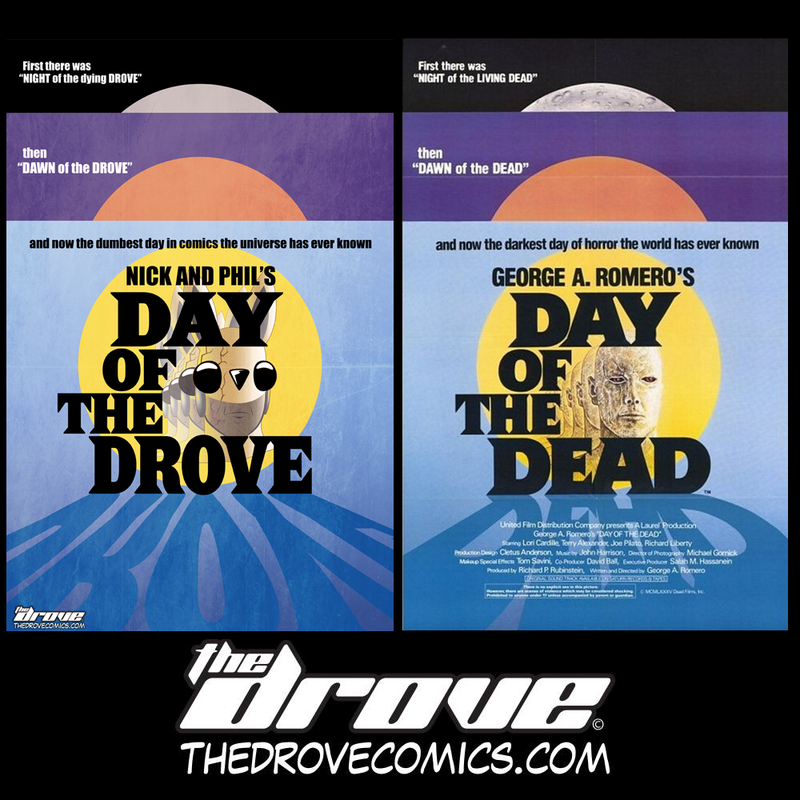 This entry was posted in Official Message from Central Command and tagged comic, Dawn Of The Dead, day of the dead, drove, fake cover friday, George A. Romero, George Romero, Night Of The Living Dead, parody, Romero, sci-fi, the drove, thedrove, Undead, Walking Dead, webcomic, Zombies. Bookmark the permalink. ← The Drove Pin Ups: Juicy Spitz!